I think we all look to different places for inspiration and Pinterest is one of my favorites! 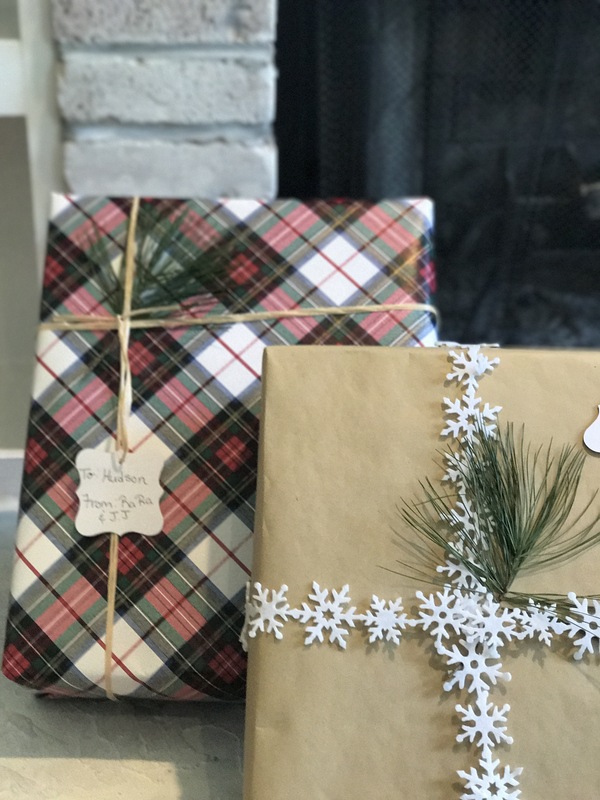 I’ve put together some of my favorite gift wrap ideas for this year. It is rustic and I’m in love. 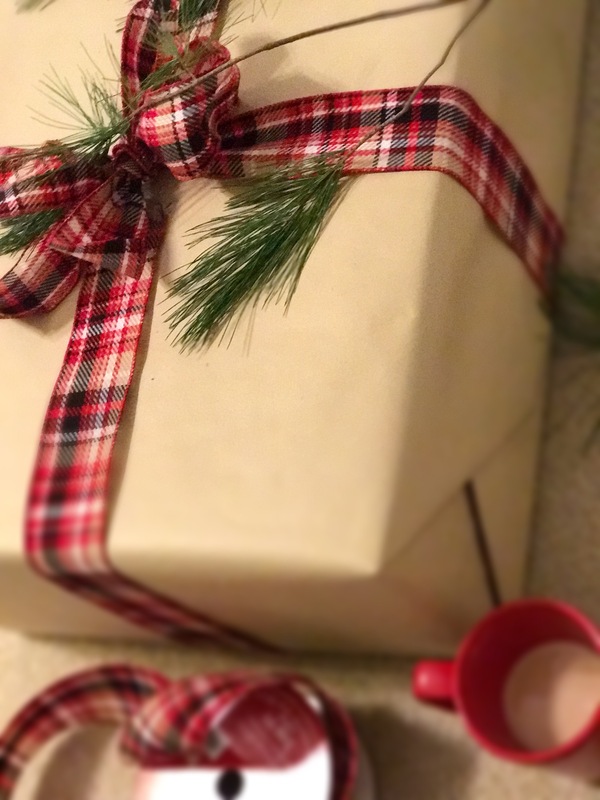 Also, I wanted to wrap on a budget so it’s all simple and affordable, yet classic and timeless! 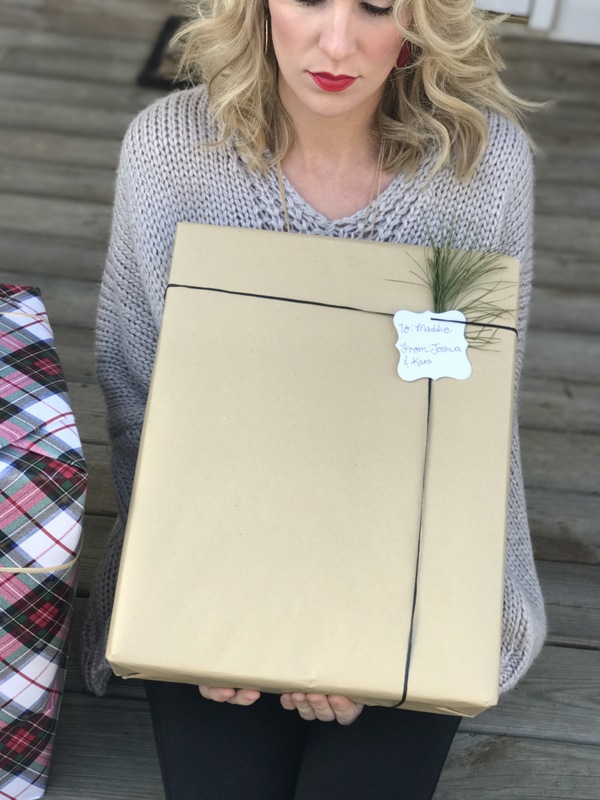 The Brown Kraft Paper I purchased at Hobby Lobby for $3.99 a roll! It is 100 sq. feet so I think it should go pretty far. The plaid paper I found at T.J. Maxx. It isn’t offered online, but all the stores carry it. It only costs $2.99 but you don’t get as much sq. footage. I am just using it as an accent paper on very few presents to add a little something extra! The snowflake ribbon, I picked up at Hobby Lobby for $2.99. They also do not offer it online, but it can be found in the Christmas ribbon section! For this present I used the Kraft Paper as well. My “ribbon” is just artificial sinew from the craft section at Hobby Lobby. It was $7.99 and the most expensive thing I paid for. My name tags are made with ornate shape die cuts. I also found these at Hobby Lobby and only paid $2.99 for a 30 count package. I used a stick pin to pierce a small hole in order to attach it :). Last but not least I’m using pine leaves for all my embellishments that my Dad cut for me behind his house! I’m a Daddy’s girl so it made me happy he was willing to partake in my wrapping project. Like I said, it’s very simple, but I heard a saying once that said, “Love is in the detail”, and I have found that to be so true! P.S. you can find my cozy sweater online at Chicwish. It’s so warm and comfy!